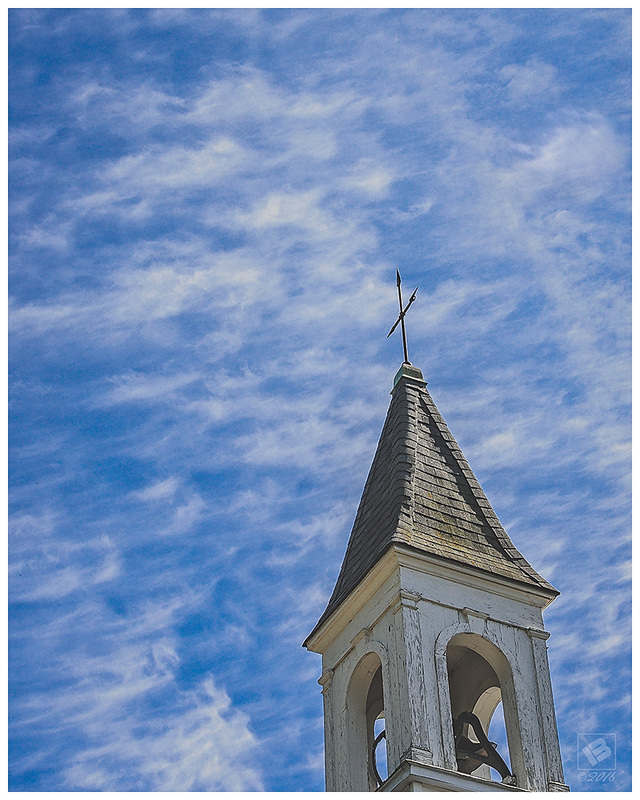 A sea of wispy cirrus clouds provide the perfect backdrop for this circa 1932 church steeple on the Old Union United Methodist Church . According to the church website, Old Union is the oldest Methodist Church in Randolph County. It was originally founded in 1786. The church is located on Walker Mill Rd. near Randleman, NC. This entry was posted in Churches, Randolph County by Matt Bennett. Bookmark the permalink.